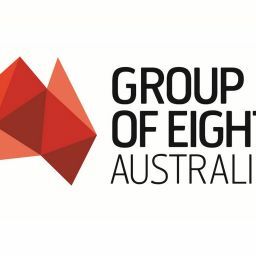 The Group of Eight (Go8) which represents Australia’s leading research-intensive universities, says it is relying on the common sense of the Opposition, the Senate cross bench and the Senate Standing Committee on Education and Employment to call out and halt the Government’s latest university sector cash-grab. In its Senate submission on the Higher Education Support (cost recovery) Bill 2018 and the Higher Education Support (Charges) Bill 2018, the Go8 has set out its strong objections to the policy which dresses up a “blatant new tax on universities” as sensible cost recovery. Ms Thomson said it made “no sense”. “In stating it wished to recover administrative costs associated with providing loans to students to enable them to study (HELP loans), the Government inexplicably has decided to tax each university for every student it enrols,” said Ms Thomson. “In fact, student loans do not involve a university, they are a direct contract between the student – who later repays the loan – and the Government, the lender. A university then receives the funds loaned, to pay for the student’s teaching and learning. “It is the equivalent of introducing a new tax on doctors, one levied for each patient they see, to assist Government pay for the administrative costs of Medicare,” Ms Thomson said. “Worryingly the Education Minister Dan Tehan’s Second Reading speech on this Bill implies that universities will be required to charge students – directly and proportionally – on the basis of their HELP loan status in order to meet the universities’ new taxation obligation to Government.